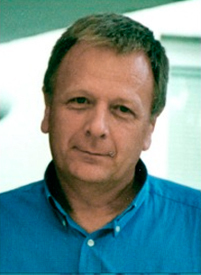 Gilles Thomas highly contributed to the analysis of cancer risk genetic factors. The first edition of Gilles Thomas’ Symposium was a success, with about 300 participants. On February 23, 2014, Gilles Thomas passed away at the age of 67. Initially, Gilles trained in mathematics and physics at the prestigious Ecole Polytechnique and then shifted towards the biological sciences, receiving additional training in biochemistry and eventually qualifying as a medical doctor. His scientific passion focused on human genetics, in which he integrated the precepts of his broad scientific training into an innovative and rigorous approach. He made many seminal observations in human genetics, in particular pioneering the study of complex diseases, such as cancer and inflammatory bowel disease. In 2008, following his return from a three years sabbatical in the USA, he developed a bioinformatic platform in Lyon, dedicated to the analysis of next generation sequencing data. The trajectory of his career served to anchor human genetics in France and effectively connect his and the work of others to its clinical application. Gilles was not only a remarkable scientist but a mentor to many. He set a high standard for scientific investigation while his candor and honesty guided many colleagues in developing their work. He was a friend to many and beloved by his colleagues. In memory of his remarkable legacy, we are honored, for the second time, to host a day symposium in his honor, gathering many distinguished colleagues to speak on his scientific legacy, particularly focused on current trends in cancer genetics and genomics. Stephen Chanock (NCI), Rebecca Fitzgerald (MRC Cancer Unit), Brooke Laflamme (Communications Biology), Nuria Lopez-Bigas (IRB from Barcelona), Stefan Pfister (German Cancer Research Center (DKFZ)), Michael Stratton (Wellcome Trust Sanger Institute), Laurence Zitvogel (IGR), Lodewyk Wessels (Netherlands Cancer Institute), will be our guest speakers at the symposium.